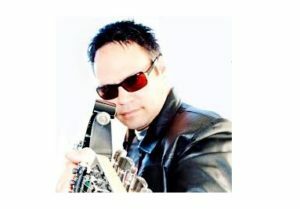 Has been playing guitar for over three decades and has extensive experience performing as a professional musician. These days spends most of his time providing consulting services in Information Technology. In the past Matt has conducted guitar clinics for Zoom effects processers and Ibanez guitars and is a past guitarist columnist and product reviewer for New Zealand Musician Magazine. Matt operated a very successful guitar teaching business called Essential Guitar Lessons based out of New Plymouth and Palmerston North in New Zealand. Has taught in over 15 Schools and at University level continuing education departments. In total Over 30 years playing guitar and about 25 years teaching. The website Guitarist.co.nz has been operating since 2001. Guitarist.co.nz had its origins as a small business called Essential Guitar Lessons which operated from New Plymouth and Palmerston North in New Zealand. Today Guitarist.co.nz is really a global website as Matt Lithgow spends time between Australia, New Zealand and Singapore. Hitwise in 2009 and 2010 announced that www.guitarist.co.nz is a Hitwise Top 10 Award winner for the period January – June 2010. During this period, www.guitarist.co.nz ranked No. 10 based on market share of visits among all New Zealand websites in the Hitwise Music – Companies industry.